The Big Day rapidly arrives. Yes I am talking of July 31st 2013.Time to file your Income Tax returns. Time to collect your Form 16. Time for you to learn to file those returns. Made a mistake while filing those Income Tax returns? Do Not Fret? Learn how to file your revised returns. You have to remember that " Taxes Are The Dues You Pay For The Privileges Of Membership In An Organized Society ". Don’t you think it is in your best interest to know all about how to file your Income Tax Returns? Care To know more about Income Tax? 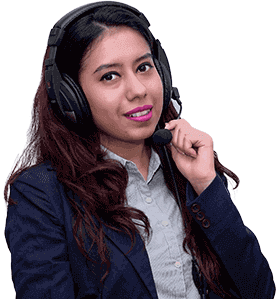 The team of Financial Planners at IndianMoney.com are always there for you to plan your taxation needs in a most effective and efficient manner. You can explore this unique Free Advisory Service just by giving a missed call at 022 6181 6111. You have to choose between the online route known as the e-filing method or the offline method in order to file your tax returns. If you fall in the tax bracket above INR 5 Lakhs then you have to compulsorily opt for the e-filing route .Even if your taxable salary is less than INR 5 Lakhs but you have income from other sources that takes your total income beyond INR 5 Lakhs then you still have to follow the e-filing route. If your taxable salary is below INR 5 Lakhs and your savings bank interest is less than INR 10000 then e-filing is not mandatory and you can opt for the offline route.You can still opt for the e-filing route as it is easy, quick and hassle free. You can always use the services of a tax professional or do the job yourself. You need to remember that " A Job Well Begun Is Half Done ". You must have seen the ITR 1 and ITR 2 Forms and noticed their similarities .Both these forms are to be filled by individuals who have a salaried income as well as some other sources of income excluding business income. Your dilemma is which form you should choose while filing your tax returns .Both these forms are similar and one must take note of the differences. If you have tax exemptions over INR 5000 per month then you will have to choose ITR 2 to file your tax returns. You must have noticed deductions under HRA, LTA, Medical and Conveyance in your Form 16.If all these deductions exceed INR 5000 then you have to fill up ITR 2.You need to note that there is a column for exempt income in both ITR 1 and ITR 2.This is for tax exempt income such as income from tax free bonds, agricultural income or long term capital gains which are tax exempt but have to be written down for the record. Let us first understand what is meant by Tax Deducted At Source. This is mainly a tax collection mechanism where tax is deducted by your employer and directly deposited with the Government. It is assumed that you an employee of the company and a tax paying citizen of India will have some tax liability. Your TDS is deducted directly from your salary by your employer. Your employer estimates your tax liabilities taking into account your tax deductions under Section 80 C, LTA and HRA and deducts a certain amount directly from your salary and pays it as income tax to the Government. You then calculate your actual tax liability. If your tax liability is more than the TDS, you pay the balance amount and if the tax to be paid is less than the TDS then you can claim a refund. So How Do I Verify The Tax Deducted At Source? You need to have a PAN Card in order for you to verify your tax deducted at source. You can then check the TDS deducted from your salary which is paid to the government by assessing the Form 26AS .So What Does This Form 26 AS Contain? Details Of tax deducted on behalf of the tax payer. (Part A of Form 26 AS). Details Of tax collected on behalf of the taxpayer. (Part B of Form 26 AS). Advance Tax and Self assessment tax deposited by the taxpayer. (Part C of Form 26 AS). The details of any paid refund received. (Part D of Form 26 AS). Details of high value transactions with respect to Shares and Mutual Funds. (Part E of Form 26 AS). You have to first visit the website incometaxindiaefilling and register yourself. After registering yourself login using your User ID and Password. In order to get an idea of the taxes you have paid you have to check Form 26 AS after providing your assessment year (A.Y.2014-2015) ,Date of birth and security code. You can then compare Form 16 and Form 26 AS. Generally the amounts in these forms tally. However if they do not tally and you have paid an excess amount you can claim a refund. Click on the download option .Select your Form ITR 1 or ITR 2. If you have tax exemptions over INR 5000 per month then you will have to choose ITR 2 to file your tax returns. You then have to extract the Excel file from the downloaded ZIP File. You have to enable Macros in this Excel file. The applications work only on these kinds of files. You have to fill the Excel file with all relevant details such as your income details, tax details and also the necessary bank details. Once you fill this information click on "Generate Tab". Have a look at the Pre-XML sheet and after verifying all the relevant data click the "Save XML "option. You have to ensure that you are logged in to the income tax website and submit returns under the Assessment year 2014-2015..(A.Y. 2014-2015)..You can then use your digitally signed file if you have a digital signature. Your tax filing process in now complete and you can get the ITR-V acknowledgement sent to your email id. If you do not have a digital signature then you have to download your ITR-V acknowledgement and sign the copy. You then send a signed copy to "Income Tax Department-CPC , Post Bag-1,Electronic City Post Office,Bangalore-560100.Karnataka.You have to send the ITR-V signed acknowledgement copy within 120 days after submitting the excel file. This document has to be sent only through normal post or speed post. You have to state your Financial Year and Assessment Year in a proper manner .In this case it would be (A.Y.2014-2015 and F.Y.2013-2014). You have to select the right ITR Form which may be ITR 1 or ITR 2. If you have tax exemptions over INR 5000 per month then you will have to choose ITR 2 to file your tax returns. ITR 1 is for income from salary or pension. Income from a single house or property excluding cases where loss is brought forward from the previous years. Income from lottery and horse racing.ITR-2 is for income from salary or pension. Income from a single house or property excluding cases where loss is brought forward from the previous years. Income from lottery and horse racing .Income from capital gains .Income from the spouse , minor child can be clubbed with the assessee and ITR 2 can be used in this case. You must be knowing that the dividends from non convertible debentures issued by government organizations such as railways, REC, NHAI, PFC and so on are tax free in the hands of the investors. You must not mix these with the taxable dividends.Long term capital gains from stocks even though non taxable need to be recorded. You need to note all the deductions you can avail and claim maximum possible deductions. You need to make use of the deductions under Section 80 TTA which allows deductions on your interest portion of the Saving Bank account up to INR 10000. If you have changed jobs in the year you need to mention all the income earned including the previous jobs income. Provide correct postal information and email id. This is necessary as all relevant intimation is send to your postal address and communication is done using the email. What Happens If I File My Returns Late? You might be having the following query. What If I Have Payed My Tax But Did Not File My Returns On Time?. Even if you miss the deadline of July 31st 2013 you can still file your returns by March 31st 2014.However if you have a business and you want to carry forward the loss to the next year then you have to file your income tax returns on time. You must be knowing that if you have any outstanding taxes after TDS as well as paying your advance taxes you would have to pay simple interest at the rate of 1% per month from the due date till the date of filing the return. You need to note that if you have paid your tax before March 31st 2013 but you cannot file your returns before July 31st 2013 then you can file your returns by March 31st 2014.If you file your returns after March 31st 2014 you will have to pay a penalty of INR 5000. Let us consider the following example. You have an income tax liability of INR 50000.You pay advance tax of INR 5000.You have TDS of INR 25000 which is already deducted. 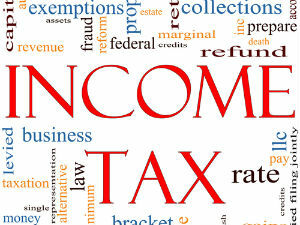 Net Tax Payable= Income Tax Liability-TDS-Advance tax=50000-25000-5000=INR 20000. You have to file your returns by July 31st 2013.However after paying taxes lets say you will file your return on November 10th 2013.Then you have to pay a penalty of 1% for 4 months as partial months are taken as full. Your Final Amount= Net Tax Payable+ (4% of Net Tax Payable) Your penalty is calculated as INR 20000+ (4% of INR 20000) =INR 20000+INR 800=INR 20800. What happens if you file your returns on May 15th 2014.You have filed your returns 10 months late and partial months are considered as whole. Your Final Amount= 20000+10% of INR 20000+INR 5000=INR 27000. I would like to end this article with the famous quote " Death And Tax Have No Convenient Time ". You have to make time to pay those income taxes.